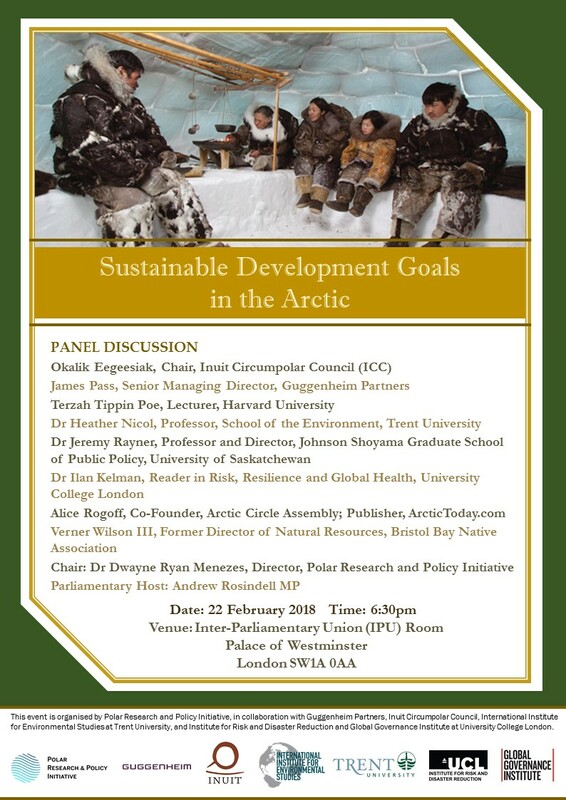 On Thursday, 22 February 2018, Polar Research and Policy Initiative (PRPI) was pleased to convene its 5th Dialogue on ‘SDGs in the Arctic’ in the Inter-Parliamentary Union (IPU) Room at the Palace of Westminster in London, United Kingdom. The topic for the session was ‘The Role of International Businesses and Investors’, with the overarching question being: “What are the opportunities, challenges, sensitivities, responsibilities and developments that international businesses and investors should be mindful of when engaging with the Arctic?” Following the discussion, we were delighted to host a reception to mark the occasion of the think-tank turning two this month. The event was organised by Polar Research and Policy Initiative, in collaboration with Guggenheim Partners, Inuit Circumpolar Council, International Institute for Environmental Studies at Trent University, and Institute for Risk and Disaster Reduction and Global Governance Institute at University College London. 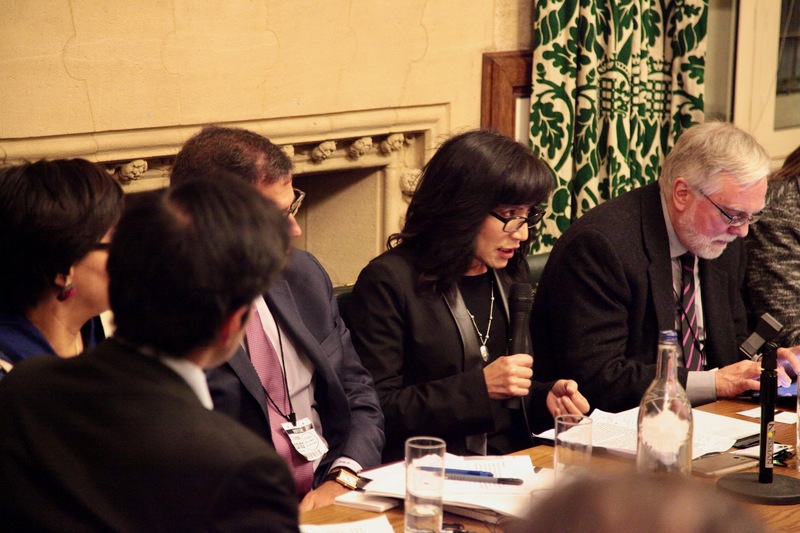 In particular, we would like to thank Andrew Rosindell MP for kindly hosting the event in Parliament.